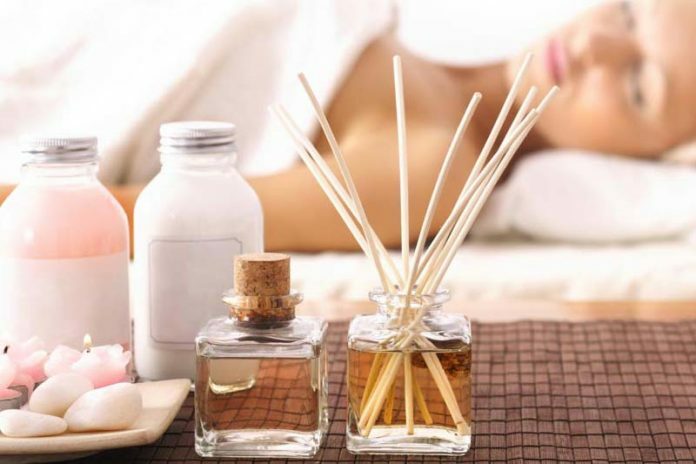 4 Health Benefits of Aromatherapy : Aromatherapy has been around for over 6,000 years and is believed to have started in Egypt where clove, cinnamon, and cedarwood were used in ancient distillation machines for preserving deceased bodies. However, the use of diffusing, bathing with, or massaging with various essential oils for health reasons was not given its name “aromatherapy” until the 1920s. Regardless of its long history, aromatherapy is still a popular natural remedy used for a variety of ailments. In fact, some of the benefits aromatherapy can offer to include the following. Numerous essential oils have been known to reduce stress and anxiety. Calming oils include lavender, valerian, jasmine, holy basil (tulsi), rose, and chamomile, just to name a small handful. In fact, a 2014 study discovered that when pregnant women were given a rose footbath, they were less anxious during labour. In turn of reduced anxiousness or stress, aromatherapy may also help lower one’s blood pressure, reduce a rapid heart rate, aid with deeper breathing, and relax tense muscles associated with stress or anxiety. In today’s world, just about anybody could benefit from aromatherapy for stress or anxiety, especially before work, a job interview, or a big exam. Aromatherapy is also used to help boost one’s memory. In fact, according to Alzheimer’s Society, the use of lemon balm essential oil may be able to aid one’s cognition, even in those with Alzheimer’s disease. For those with aggression as a side effect of Alzheimer’s, the use of lavender essential oil may calm them down. Apart from naturally treating early Alzheimer’s disease or other dementias, one should opt for aromatherapy to boost their memory before studying for or taking a test, giving a speech, or going to class or job training. There are many reasons why we don’t want to get sick: to ensure we can still go to work or school, don’t get our loved ones sick, and simply because we don’t like the feeling of being ill. However, with aromatherapy, we can boost our immune systems to reduce the length of or even prevent common illnesses like colds and cases of flu. Some essential oils one can use via aromatherapy to aid with immunity include oregano, lemon, eucalyptus, frankincense, tea tree, and rosemary. While more research is needed, some speculate that aromatherapy can also help boost the immunity and reduce symptoms of cancer patients. While certain essential oils are known to relax and induce sleepiness, other essential oils can help give us energy when we are experiencing fatigue. Orange, lemon, peppermint, lime, basil, and grapefruit are examples of essential oils one might want to use via aromatherapy when they’re in need of an energy boost. Using the latter essential oils are recommended early in the morning before work or school, after a workout session, or in the afternoons or early evenings when one still has a lot of things left to do before bed. Those with chronic fatigue syndrome may also be benefited with higher energy from regular aromatherapy. To learn more about essential oils, visit aromatechscent.com/. Used for thousands of years and having research to back up its effectiveness, it’s clear that aromatherapy is something that can help many in numerous ways. Just four of the health benefits one can achieve from aromatherapy include lower stress and anxiety, better memory and general cognition, stronger immunity, and increased energy levels. Aromatherapy Basics : What Are the Benefits of Aromatherapy for Muscles?